Is Netflix Blocking VPN? 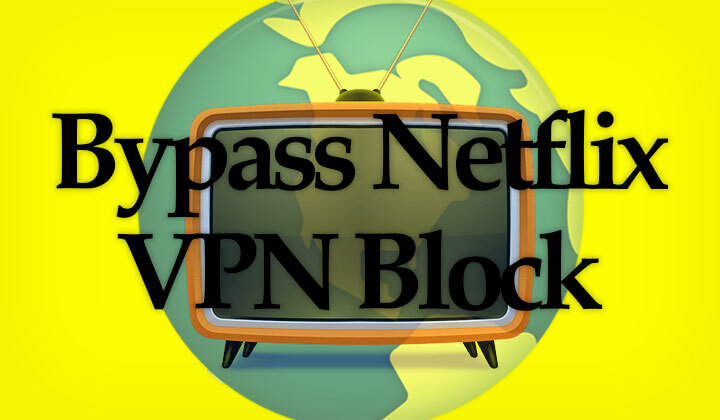 Here's How to Bypass the VPN Block! Is Netflix Blocking VPN? Here’s How to Bypass the VPN Block! Circumventing the location restrictions of Netflix is very common, so no wonder they are fighting back and blocking VPN connections. Nothing to worry thought. These are the two best methods I know to bypass the VPN block in 2019..! Quick facts; (1) VPN is easiest, but not perfect and you need the right provider (2) DNS is the cheapest but not so easy to set up and not as secure. The most common way to access Netflix is via VPN. While this is not the only method, it’s most probably the easiest — when it works..! Problem is that Netflix is frequently looking for VPN users, and banning the IP addresses of these services and that’s what is causing the block. IP is a number that identifies all internet connections on the internet. Most VPNs are not suitable for unblocking Netflix because IPs are limited. One of my favorite VPNs — ExpressVPN is one provider that is frequently changing the IPs and adding new ones, so that Netflix cannot catch up. This doesn’t mean that it will work 100% on first try. Sometimes you might have to reconnect or connect to another VPN location. But rest assured, ExpressVPN is working as hard as Netflix is to make sure it works unblocked. And because it’s VPN. You just download a connection client, choose a location and press the big red connect button. Easy. The less known method and much cheaper too is to use a DNS proxy. While it’s more reliable than VPN, it’s more difficult to set up. But because it’s so cheap, optimally you can have both DNS & VPN ready as your Netflix arsenal. My favorite; Smart DNS Proxy — they have good, live support to help you out with anything. And be warned that not all DNS providers are as stable as them. You need to set the DNS proxy in your internet or web browser settings. Then login to the system to choose which channels you want to unblock & watch. Contrary to VPN the actual Netflix stream is not going through the DNS. This means that streaming is potentially faster because you are directly connected. It simply tricks Netflix into thinking that you are located in the USA for example. The types of supported on demand video streaming services is broad but limited, so while it’s very affordable, you cannot pass any other locations restrictions and there are none of the security benefits you have with a VPN. The DNS proxy service is limited to online video streaming only.. but is designed for Netflix support and won’t get you blocked. Did you get rid off the VPN blocking? Feedback most appreciated! And what’s your favorite Netflix circumvention method? Do note; some of my reviews, and posts could contain affiliate links which support my blogging efforts. For you there is no additional cost of course. Much thanks & please share! David.